Two years have passed since the demonstrations against Donald Trump’s inauguration. Thanks to an epic legal struggle, all the charges have been resolved or dropped. Now we can discuss what there is to learn from the events of January 20 and the ensuing court cases. This article focuses on the march that took place on the day itself, utilizing a wealth of information that came to light during the subsequent investigation. We will follow it with an analysis of the J20 legal battle and solidarity efforts, as well as additional perspectives from participants. On January 20, anarchists took on the most powerful empire in the history of the solar system at the heart of the spectacle intended to legitimize its rule—at precisely the moment that a new administration sought to introduce an even more authoritarian model of governance. This was a profoundly courageous act. 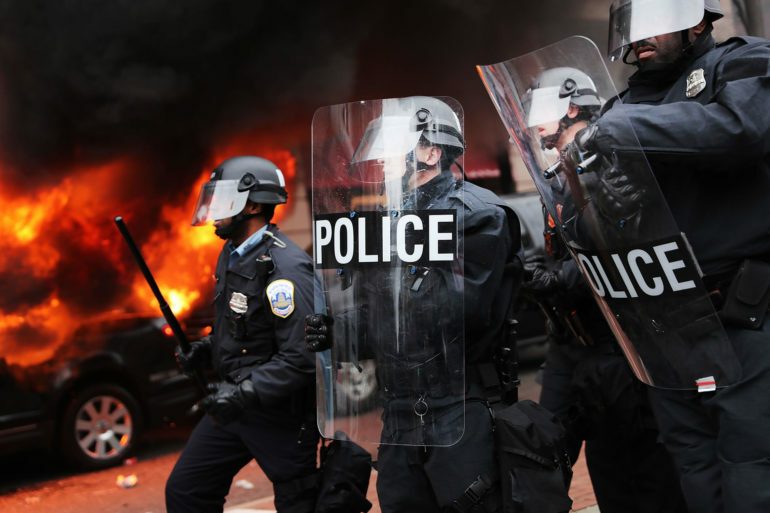 In retaliation, prosecutors attempted to set a legal precedent that would criminalize protest itself, in hopes of being able to inflict the full force of felony prosecution on anyone in proximity to any act of resistance. The ensuing legal battle lasted a year and a half. The mass arrest that occurred on January 20, 2017 was not inevitable. It was the consequence of specific decisions that the organizers and participants in the march made; it could have turned out differently. Everyone who might one day be compelled to take part in high-risk street protest stands to benefit from an analysis of this action. It is an especially interesting case study in that it represents a worst-case scenario: 500 demonstrators without scouts, a communications network, or a solid plan taking on 28,000 security personnel at a pivotal historical moment. Was it a good idea to mobilize against Trump’s inauguration? Was it a good idea to call for a confrontational march on that day? What did anarchists accomplish—and what can we learn from our mistakes and from the strategy of the police? Here, we will present a blow-by-blow review of the events of the day and address each of these questions in turn. 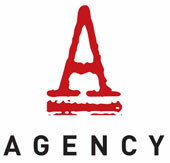 Agency promotes contemporary anarchist perspectives and practices through commentary on current events, media relations, and educational campaigns.